Posted by Admin on Jul 12, 2017 in Why Trü-Hybrid? 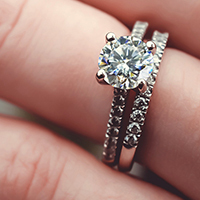 Why choose TRÜ-HYBRID over the other diamond simulants? Answer:: There is no debating that TRÜ-HYBRID simulated diamonds are superior in all aspects. Our TRÜ-HYBRID diamond/crystal hybrid provides more longevity, more diamond-like beauty & offers true benefits over other simulated diamonds. Beyond providing superior beauty & durability, Trü-Hybrid arrives with a trü-lifetime warranty from your local Trü-Hybrid dealer. TRÜ-HYBRID was developed by a reputable, innovative USA company with over 35 years of experience in the fine jewelry industry. In other words, you’re in very good hands with a company that cares deeply for their customers, about delivering top grade products and custom designs…and most importantly; this family jeweler stands firmly behind their family business. 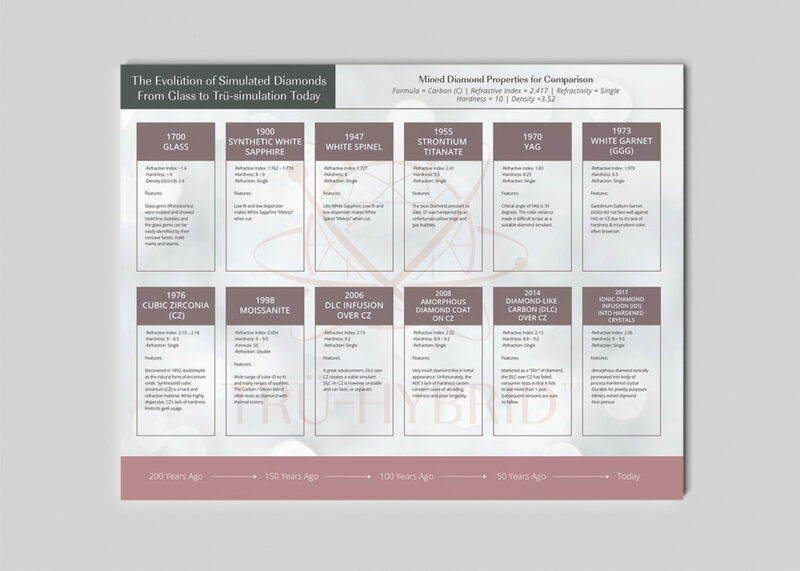 A timeline of how simulated diamonds and low cost diamond alternatives have evolved from 1700 to today. Click to expand. Evolution of simulated diamond content provided by comprehensive independent research and contains professional and consumer opinions. ~Trü-Hybrid simulated diamonds are harder and more durable, reaching an average of 8.9 on the MOHS hardness scale. ~Trü-Hybrid simulated diamonds are hand-cut and polished to mimic the finest of Earth-mined diamonds. Frankly speaking; These jewels are diamond-like and scintillating and perform with impressive dispersion and play of light!…Yeah, they’re trüly superior in every way as we compared Trü-Hybrid to the rest of the many other simulants. Some are good, others are ‘smoke-and-mirrors’… See for yourself why Trü-Hybrid is the finest, hardest, most impressive, hand-faceted, nicest priced & warrantied diamond simulants worldwide. ~Trü-Hybrid simulated diamond’s Ionic Diamond Infusion (IDI) process creates a unique diamond-like jewel that is not porous, even at the nanoscopic level. What does this mean for you? It means that your Trü-Hybrid will not collect dirt, oil, dust, lotion and debris like common CZ and other simulants, leaving it clean, dispersive and always exceptionally beautiful. ~Trü-Hybrid simulated diamonds have a lifetime warranty that covers everything except for loss or theft. They are covered for life* (for no added warranty fee) so you’re not left in a lurch if your jewel should ever chip, scratch, fade, or anything that might make your Trü-Hybrid jewel look anything less than you expect; perfect. ~Trü-Hybrid simulated diamonds are priced far less than other simulants in the market. We strive to provide exceptional Quality, Service, Warranty & Low Price for your Greatest Value. Beyond this breakthrough in technologies, the real and TRÜ difference between other diamond simulants & TRÜ-HYBRID is found in the eye of the beholder. 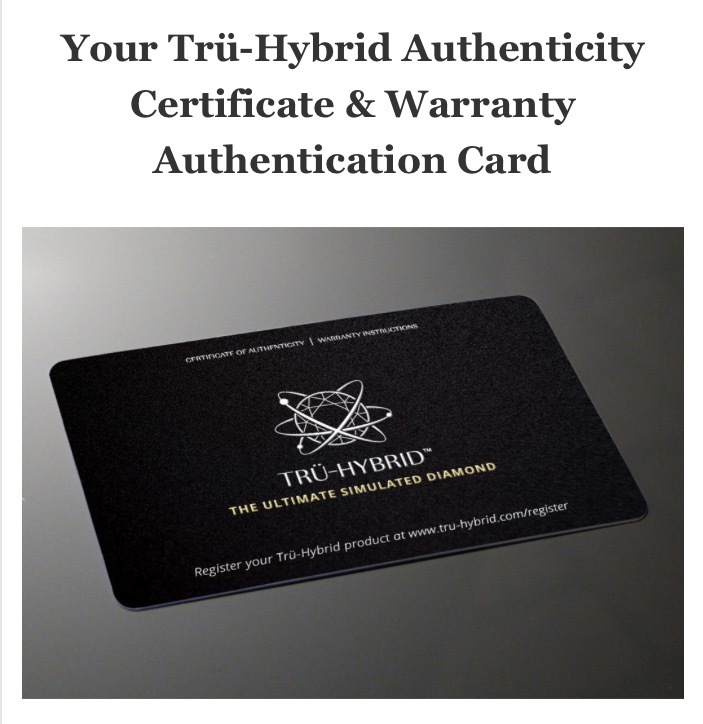 ORDER TRÜ-HYBRID TODAY and join the growing number of thrilled owners. See for yourself TODAY why TRÜ-HYBRID Simulated Diamond Jewels are the most diamond-like, beautiful & best value in diamond simulants worldwide! 1.5 carat D/IF Hearts and Arrows TRÜ-HYBRID™ Simulated Diamond Jewel. *Lifetime warranty offer involves a simple, free registration and replaces any damaged Trü-Hybrid jewel for 1/2 price. Labor and shipping quoted if needed.